Ever since Kenyan animator, ‘Fatboy Animations’, introduced a series of toon characters such as Faiba’s Mbugua, animation has gained more prominence in the country. More and more creatives are jumping on the lucrative animation ship with an aim to provide content for the advertising and entertainment industry. One of the more recent entrants into the animation business is ‘Art By Murage’, whose YouTube channel is proving to be a hit among internet users. The talented animator has launched a creative and hilarious cartoon series dubbed Jonte na Kabudaa. So far, he has released seven episodes on his channel. 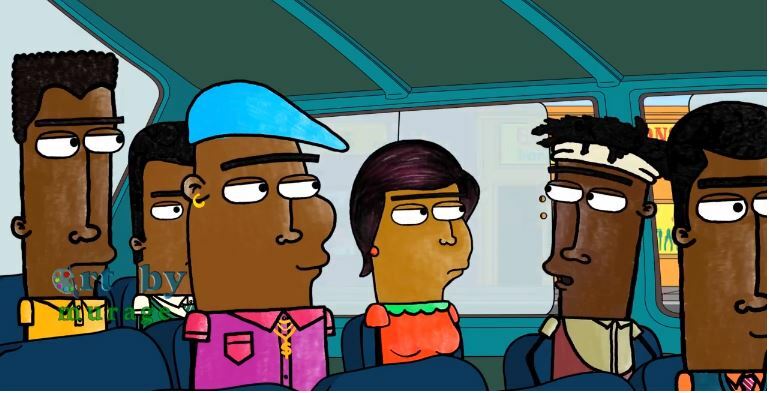 The most popular episode[Eps Two] depicts the funny ongoings in a typical Kenyan matatu. The less than three-minute clip shows an encounter between a conductor and his customers, one of whom is a wealthy Luo guy who just won’t accept coins. Watch the hilarious encounter below.